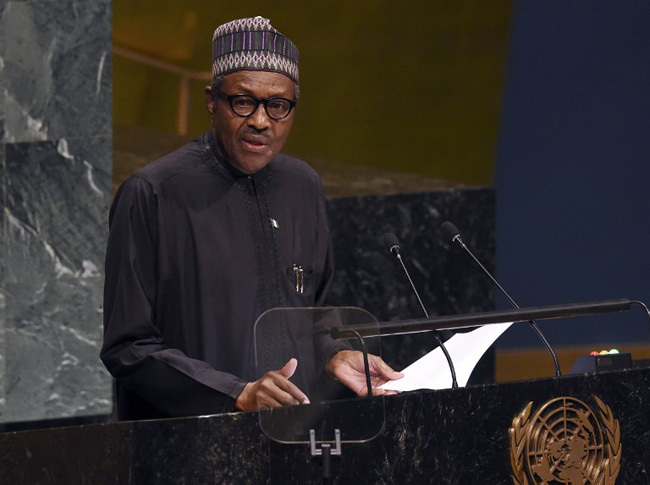 President Muhammadu Buhari on Tuesday drew the attention of world leaders to conflicts around the world and their devastating effects. The President called on leaders to take urgent action to bring the conflicts to an end, warning that the situation has become worse than it was last year. He made the call while addressing the United Nations General Assembly in New York. Beyond the conflicts, especially in the Middle East, and the Rohingya crisis, President Buhari drew the attention of the world leaders to the effects of climate change and the need for concerted efforts to check corruption and stop illicit financial flows. The President said Nigeria supports efforts by the United Nations and other partners to protect the dignity of the Rohingya and to help restore peace around the world. He commended the government and people of Bangladesh and other countries that have come to the aid of the Rohingya. As for the conflicts in Syria, Yemen and other countries in the Middle East, President Buhari urged the UN to push for dialogue and peaceful solutions. He praised Turkey, Jordan, Greece, Germany, Italy, and France for hosting the millions of refugees fleeing these brutal conflicts. Beyond calling for action to end conflicts and bring peace to the world, President Buhari rebuked the abuse of power, which has caused or worsened conflicts. He drew attention to the strides made by the leaders of Eritrea and Ethiopia to end years of political conflict and implored other leaders to draw inspiration from them and what they achieved through dialogue. Touching briefly on corruption, President Buhari said it was important that the international community help countries in repatriating funds back to the countries of origin.